In 2014, Sharon Osbourne showed off her failed implant supported dental crown on live television exclaiming she had paid a fortune for the replacement tooth. That just goes to show that even the rich and the famous can’t always ensure the best outcome of their dental procedures. 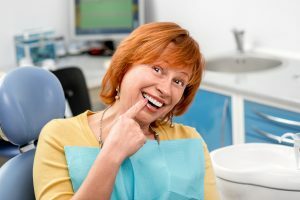 However, there are some steps you can take to avoid implant failure and keep your smile whole and healthy following advanced dental implant procedures. The first step to improving your chances for successful dental implant placement is finding the right doctor to place the implants. More and more general dentists are placing their own dental implant posts, and while this is just fine for low risk patients, more complex cases really should be seen by a trained oral surgeon. These dental specialists have advanced training above and beyond general dentistry doctoral studies that give them the necessary skill and experience to provide even the most advanced surgical procedures safely and successfully. Not all dental implant posts are created equal. In fact, many oral surgeons still use the same, high quality Swedish titanium implants that were originally developed decades ago. These implants have a long record of success, but they can be pricey. Talk to your oral surgeon about the types of dental implants they use and the success of these materials before making your final choice. Talk to your oral surgeon about how they place their implant posts and what technologies they use to ensure each implant is precisely positioned. Following placement, some dentists offer immediate load tooth replacement techniques. This is rarely a good idea. Imagine you place a stick in wet mud. While the mud is still moist, the stick can move around and fall down. Once the mud has hardened, the stick is much more stable. A newly placed dental implant is much like a stick in moist earth. It shifts and may even be pulled free. While living without one or more teeth as the implant fuses with the supportive tissues may seem less than ideal, this could offer you a greater chance of successful implantation. Perhaps the most important aspect of ensuring your dental implant successfully fuses with the jaw is proper postoperative care. This may include using a special oral rinse to promote healing and sanitize the implant site as well as making other minor changes to your diet, oral hygiene routine, and dental health care products. You will also need to visit your oral surgeon for periodic checkups as the implant post fuses to ensure you are progressing as planned. Your Marietta dentist, Dr. Jeff Lee has always believed that an educated patient is a happy patient and that the best way to ensure the success of even the most advanced oral surgery is to make sure patients truly feel like partners in their treatments. If you’re looking into dental implant supported tooth replacement, contact Muskingum Valley Oral Surgery to schedule a tooth replacement consultation. Our team will carefully explain all the risk factors that increase chances for implant failure and work with you to create a treatment plan with the greatest success rates.